Love classics with a modern twist? 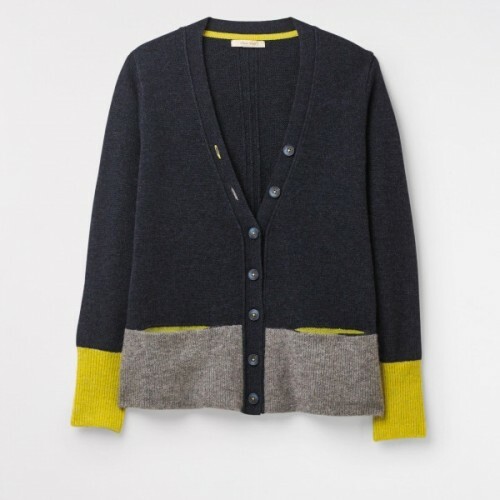 Then meet our Scandi colourblock cardi. In a soft mixed yarn, this V-neck cardigan features a deep ribbed hem and cuffs, 2 handy front jetted pockets and echoing the vibrant dose of colour on the sleeves, we've added colour pop accents on the pocket insides and used bright button thread too.